Canadian Federation For Citizenship aspires to be a prominent voice on active, responsible and inclusive citizenship. Calgary, Canada, October 08, 2018 — As we celebrate Citizenship Week across Canada on October 8-14, Canadian Federation For Citizenship (CFC) has announced two new appointments on its Advisory Board – Former Citizenship Judge Ann Marie Wilson and Indigenous CEO and Philanthropist Dr. Marie Delorme. Co-founders Jenny Gulamani-Abdulla and Ghalib Abdulla established CFC during Canada’s Sesquicentennial, 150th Anniversary of Confederation, to celebrate being Canadian and to create a sense of belonging so that all residents of Canada are embraced, included and respected to participate in Canada’s progress. CFC's mission, to promote citizenship, is steered by the principles that Citizenship is a notable relationship that binds all Canadians and that it requires one to be accountable for others. 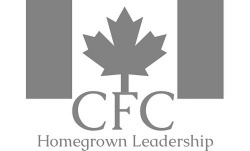 This non-partisan, non-sectarian and non-profit organization will aim to engage Canadian citizens to develop homegrown leadership through active citizenship.